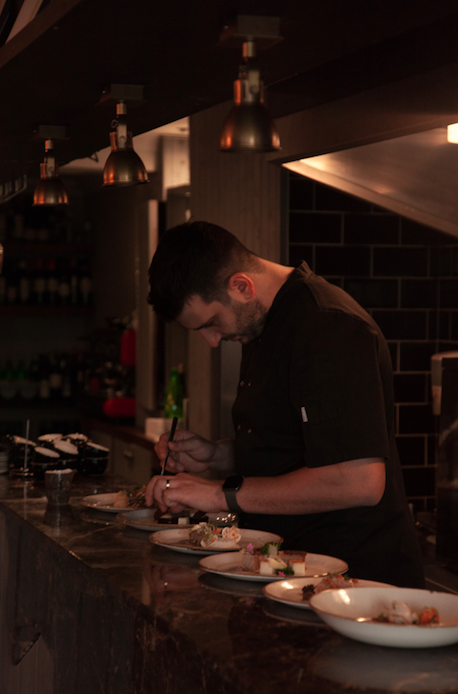 Chef-Patron of Six by Nico and 111 by Nico, both in Glasgow, Nico Simeone, will open a new gastropub on Great Western Road in the cities vibrant West End. ‘Public House by Nico’ is set to become one of the most charmingly old-fashioned spots for a real ale, a deep-filled pie or a Sunday roast in Glasgow. A slice of cosy countryside in the heart of the city, here you’ll find hearty British pub classics with a Nico Simeone twist, real local ales, fruity wines and fine single malt scotch. Pull up in a banquette and savour burgers layered with Scottish cheeses, rare breed Steaks and market fresh battered fish with triple-cooked chips. The new West End gastropub will be relaxed and cosy, with open fireplaces, exposed wooden beams and snug leather furniture. The restaurant is expected to offer diners an ‘all day pub menu’ and will be open Tuesday – Fridays from 12 pm and from 9 am every weekend. This is a new chapter for our restaurant portfolio. Our team will deliver great comfort food, but in a refined way. The menu will feature small plates based on classic pub grub and will be available all day with an additional brunch menu for Saturday and Sundays. The latest investment from Chef Nico Simeone is due to open early December 2018. Public House by Nico will be located at 333 Great Western Road in the former home of neighbourhood bar, The Mallard. Local design team Severino designs have been appointed and the refurbishment is currently underway. ‘Public House by Nico’ will announce further details on the project alongside the menu later this month.